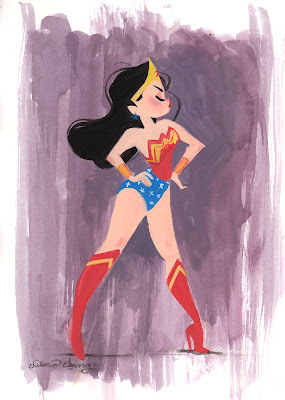 This piece is for sale in Mike and Me's new shop! 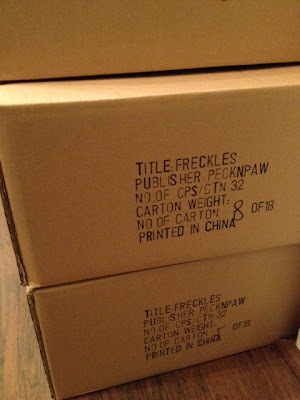 You can also buy FRECKLES and Mike's ZOOM ZOO cards here! Check it out guys! Thanks to everyone who entered my give away! I was absolutely shocked at the response! I chose the winners and here are those lucky fellas! End of the second day of CTN Expo....Boy am I exhausted! I don't know how people manage to do this more than once or twice a year!! I met a ton of great people face to face for the first time and made a lot of new contacts and friends. So many nice people who are excited about animation! I'm having a really great time, even though I'm so tired! I can't wait to do more of this! Thanks everybody!! At work recently, Lorelay Bove showed me an American in Paris (edited)! I loved this sequenced and got inspired to do a little piece on it! The old Technicolor films are some of my favorites and this sequence was just so brillianty art directed! If you haven't seen this movie, it's worth watching! The art direction is brilliant! 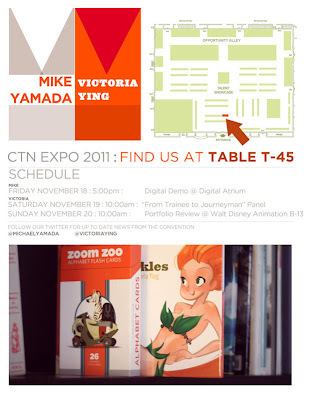 Also, Here's information about CTN-Expo this week! I hope to meet some of you! I'll be selling Freckles, and prints and greeting cards! There's still 4 days to enter the Freckles giveaway too! Comment on the giveaway post to enter! 2) Tweet about it! Use @victoriaying and Mention the 'Freckles' Giveaway for a second chance! Each entry will boost your chances! EDIT: WOW! What a response! I'm adding one more book to the giveaway thanks to all you nice people! This second book will be for Those who are tweeting about it, so one will be for the people commenting and a second for those who are tweeting! Thanks everyone! Karmen Rider Super Sentai Anniversary Show! 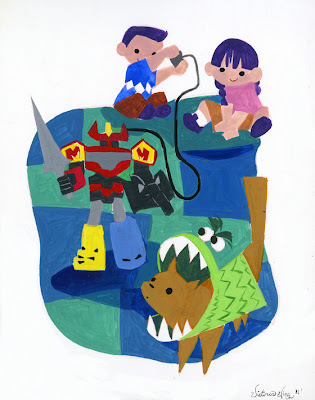 My Piece for the Super Sentai Karmen Rider show at Q Pop Gallery this weekend! The top piece is the original acrylic painting while the lower piece has been edited with photoshop! I have some of these posted in my shop! If you are interested in the original, please come to the show and say hello!